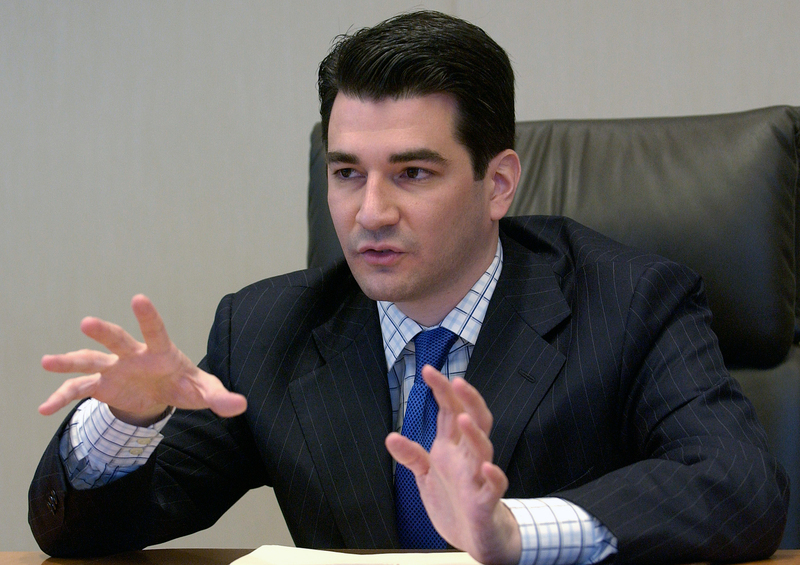 President Trump pledged to close the revolving door, yet FDA nominee Scott Gottlieb is taking his second whirl. Experience in government and industry is valuable, but his potential conflicts with pharma firms may hamper the agency. Recusal isn’t a prescription for effectiveness. Scott Gottlieb, FDA deputy commissioner for policy, speaks to reporters at the Reuters Health summit in New York November 8, 2005. Scott Gottlieb, President Donald Trump’s pick to lead the Food and Drug Administration, will recuse himself from decisions involving over 20 companies for one year after the last date of his involvement with them. The firms include Bristol-Myers Squibb, GlaxoSmithKline, Vertex Pharmaceuticals and many smaller firms. Gottlieb has been a partner at venture-capital firm New Enterprise Associates for over a decade. He is also a managing director of merchant bank T.R. Winston and has board or advisory positions at several pharmaceutical-industry companies. He has promised to resign from those positions if confirmed, and divest holdings in multiple healthcare companies. From 2003 to 2004 he was a senior adviser to the FDA, and from 2005 to 2007 he served as FDA deputy commissioner for medical and scientific affairs. Gottlieb is a practicing physician.